The wind industry is what it is thanks to naïve, gullible and pliant politicians. But not every MP drank the Kool-Aid. One who didn’t is SA Best Member of the Legislative Council, Connie Bonaros. South Australia is the place that set and met its very own ludicrous 50% Renewable Energy Target. For that it suffers the highest retail power prices in the world, mass load shedding and blackouts. This summer guarantees repeat performances of both, every time the sun sets and/or calm weather sets in. Portable generators will be the must have item come December. Then there’s the destruction wreaked in South Australia’s rural communities, at places like Waterloo, Mt Bryan, Hallett and Jamestown. Connie is facing plenty of malign indifference from both Labor and Liberal MPs alike, but she isn’t about to quit. 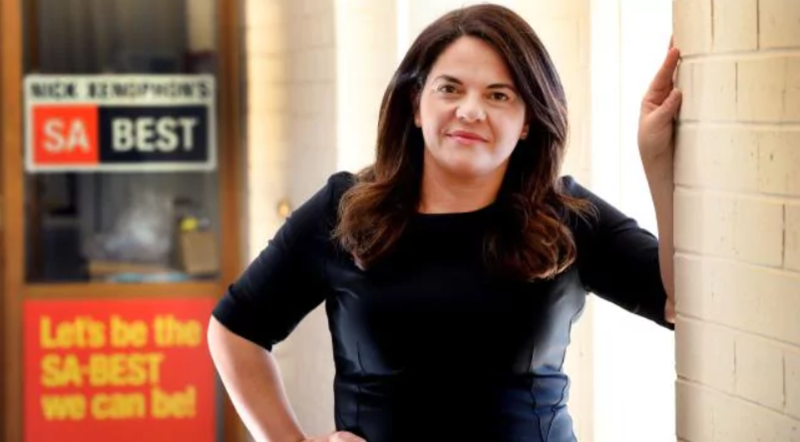 SA-BEST MP Connie Bonaros has called for a moratorium on new wind farm developments in South Australia amid ongoing health concerns and impacts on local communities. About 50 protesters took to the steps of parliament house in Adelaide on Wednesday to voice their own issues with wind farm developments which they say are being built too close to homes. 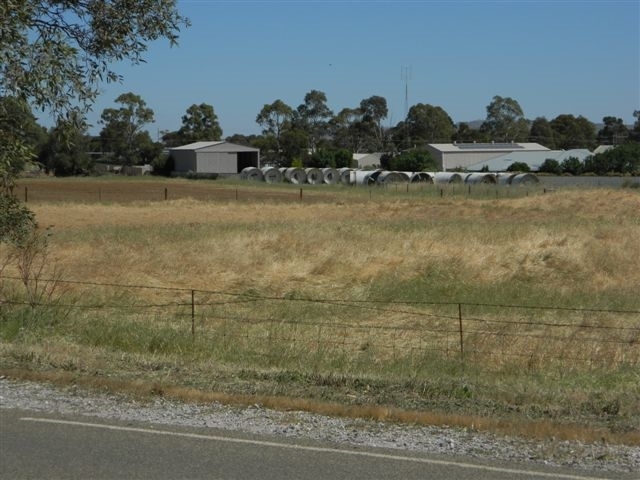 Of particular concern is a proposal for a wind farm at Crystal Brook, in the state’s mid-north, where French company Neoen wants to install 26 wind turbines that are 240 metres high, or nearly twice the height of the tallest building in Adelaide. “Wind farms around the world, including many either being built or being proposed in SA, are getting ridiculous in size and generation capacity,” Mr Bonaros said. Ms Bonaros urged the government to halt approval or construction of all new wind farms to allow for an independent and thorough review of their impacts. 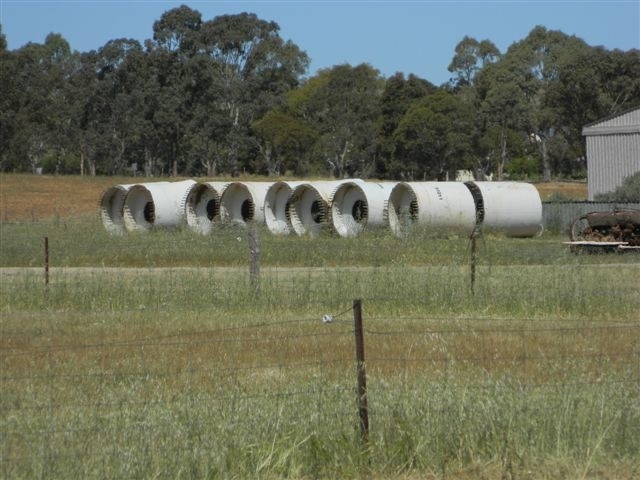 “We must ensure that both operating and future wind farms in South Australia are not allowed to emit noise that causes sleep disturbance or otherwise harm human health,” she said. Gayle Manning, from Keyneton in the Adelaide Hills where a wind farm is set to be developed, said the size and capacity of wind turbines had increased dramatically but Environment Protection Authority studies and guidelines had not kept up. “In order to ensure the safety of all people living close to wind farms, it is imperative that we better and fully understand their impacts,” she said. Over the last decade, the wind industry has ridden roughshod over the rights of law-abiding citizens to live peacefully in their very own homes. The battle that’s followed proves that the value of any right is determined by the beneficiaries’ determination to fight for it. While the results for people set upon by subsidy-soaked wind power outfits are a tragedy, the real tragedy is that those who are paid handsomely to protect them, not only ignore their plight, but side with the wind industry, protecting it from any attempt by their victims to regulate or control noise emissions from wind turbines. In our timeline post – Three Decades of Wind Industry Deception: A Chronology of a Global Conspiracy of Silence and Subterfuge – we covered the fact that – from 1995 – the wind industry drew together a hand-picked team with a mission to write noise rules with absolutely no relevance to wind turbine noise; and, therefore, of no benefit to wind farm neighbours (with predictable and soul-destroying results). In the war against the greatest economic and environmental fraud of all time, few individuals come close to South Australia’s Mary Morris. STT readers will know how tough and persistent Mary Morris is from posts like this: A letter to the Environment Protection Authority, South Australia. Mary’s knowledge of acoustics and understanding of how the wind industry rigged the so-called noise ‘guidelines’ in its favour with the aid of its pet acoustic consultants, is second to none. Here’s Mary being interviewed on ABC radio (bear in mind that Australia’s public broadcaster is wind cult central and its members would rather wash their mouths out with soap, than ever utter a harsh word about their beloveds). The podcast appears below with transcript following. David Bevan: That’s Connie Bonaros from SA-BEST, and she wants a moratorium on these things. Before we move on though, Mary Morris is a spokesperson for the Hansborough and Districts Residents Group. Good morning, Mary. Mary Morris: Good morning, David, and thanks for the opportunity. David Bevan: You live around Twin Creek Wind Farm, is that right? 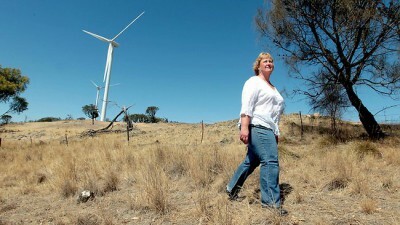 Mary Morris: I’m halfway between Twin Creek and the operating Waterloo Wind Farm. David Bevan: And that’s 90 kilometres northeast of Adelaide? Mary Morris: Yeah, it’s actually right on the very northern rim of the Barossa Valley, like St. Kitts, Koonunga, Ebenezer, around there. 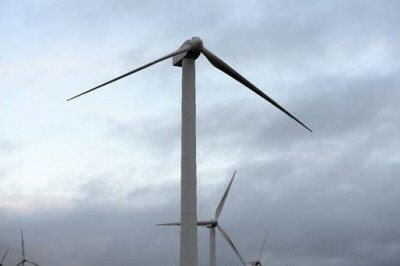 David Bevan: Mary, what impact do you say the wind farms have had? Mary Morris: I think the main issue is the thumping noise disturbance. That means people can’t sleep, and that thumping noise is actually technically called amplitude modulation. One thing that the World Health Organisation said in their new environmental guidelines was that standard method … And this is a quote, standard methods of measuring sound, most commonly A-weighting, may not capture the low-frequency sound and amplitude modulation. What we want is the amplitude modulation and the low-frequency noise to be included in the South Australian guidelines. Mary Morris: They’re not there. And when the guidelines were last reviewed, we got some documents under FOI and the EPA, or actually Dan van Holst Pellekaan got them. And from that, we can see that there’s a group of wind industry acousticians, who are steering the content of the EPA guidelines. They said care should be taken to ensure all fundamental characteristics are occluded from the potential application of a penalty, including modulation that may occur under stable atmospheric conditions. David Bevan: Because he says that pretty much the science is settled. Mary Morris: Well, that’s not what the WHO says. They said there needs more research to be done, and it says there are serious issues with noise exposure assessment relating to wind turbines on page 86, quote. Basically, what I say to Andrew Bray is people aren’t complaining to the Wind Farm Commissioner anymore. I’ve been involved with six of them with Waterloo. For each of those complaints, nothing has been resolved because his main role is to direct the complainants’ questions to the company, and then they get an answer back from them. We’re getting the same answers from the company as we were getting without going through him. Mary Morris: So people have asked for noise monitoring inside their houses because of the thumping at four kilometres, and there’s no funds in his budget for doing noise monitoring. David Bevan: Well, that’s an interesting research being done at Flinders at the moment, isn’t there? David Bevan: And they’re trying. My understanding is that they’re trying a different approach to trying to monitor …. Mary Morris: Yeah, because it’s subliminal. It’s what’s happening when you’re asleep. I’ve got a suggestion for you, David. Go down and have a go in their sleep lab, and see how you go. David Bevan: Mary, thank you very much for your time. Mary Morris: Thank you. Bye. David Bevan: Mary Morris, who is a spokesperson for the Hansborough and Districts Residents Group. it is interesting to note from the aparent PRESS RELEASE by those who stand to gain the most from this environmentally damaging, inefective & clearly resoundingly rejected concept that requires obscene amounts of subsidy considering the near total failure of Wind Turbines to produce a viable output of electricity to feature on the local or national grid reliably enough to permit the switch off of more sensible methods of production such as nuclear..
Be minded that there is no balance to the Forester’s article of the 21-Feb-2018 in that it merely published the statement of the ambitions of the profiting company with no apparent fact checking! You will of course be minded that the Local Government Officers, trained in such matters and having researched the proposed planning application reported to the Council and strongly recommended against the application being granted leave to proceed. In my opinion and having listened to the matter at the planning committee the Council acted in palpable ignorance of any relevant facts and in a clearly vexatious manner when you consider the overwhellming preponderance of objection to the application, both by the professional Officers of their own Council and of the facts pertaining to the application, not least of which was the overwhellming opposition to the scheme from the residents within sight and sound of the proposed monstrosity right on the bank of the River Severn, visible from miles around. Seemingly the only individuals in favour were those drummed up from out of the area and either family, tenants or employees of the land ower who aimed to profit from the subsidies + any potential income! It was also worthy of note that the landowner herself was in a position to influence the application being a newly elected Counciller who had moved within days of the election onto the Planning Committee. Having nevert mentioned her application during the election nor having shown any talent, expertise or experience in planning matters! The decision to appeal the questionable decision of the planning committe to grant the application made in Moira Edwards’ name with the commercial support of Resiliance, was made by the residents of the area effected in the name of Peter Wright and supported in his aims by the clear majority of effected businesses and residents who life and lifestyle would clearly be damaged by the instalation, which would likely give rise to a loss of jobs in the area. The Appeal Judge upheld the appeal application & the vexatious Council decision was overturned. It was overturned on the limited list of reasons Peter Wright’s barristers felt needed to be fielded. There were many sound reasons for rejection of the plan, though few sustainable reasons in its favour have ever been put forward by the applicants – leading one to believe the matter was mainly being progressed for the personal; profit of a few wealthy individuals! The latest appeal was granted to Peter Wright by 3 Judges voting unanimously against the scheme. Once again Peter Wright’s barristers felt they had no need of the many other reasons against the plan as Resiliance had failed to field any compelling reason for the application beyond seemingly that of their own profit, from which they undertook to pay what seemed to be a bribe, by way of paying back some of the subsidies and a portion of any revenue AFTER they had taken they management fees! The repayment was beiguillingly deemed to be a ‘Community Fund’ and their highly profitable (for them) scheme was mastery of aesopian English calling it a ‘Community Wind Turbine’. It is interesting to have read the applicants documentation of their proposed appeal to the Supreme Court – The first point of interest is that Our Council has withdrawn its support for the appeal, on that note it is also worthy of note that the Tidenham Parish Council has opposed the installation on every occassion on which it has been put to them to vote. Further it is interesting to note that the applicants nor their legal advisors have put forward any new evidence to be considerred and thus have no compelling case for the application to the Supreme Court, it would seem. I also note they are still using the misleading language of these giant windturbines so very damaging in many ways are somehow ‘Community Wind Turbines’ when any bribe paid to the public would seem to be funded by the public’s own investment extorted from them under pretence of the efficacy of wind turbines as a power source which they are most questionably able to fullfill. We should also note when wind turbines are installed there would seem to be no financial provission made for tyheir removal at the end of their subsidy generating life cycle, nor for the massive damage done by the immense concretye block on which they stand and seemingly no provission for the huge carbon footprint of both their manufacture nor their dismantling – indeed just how do the erectors plan to remove the huge reinforced concrete block and all the waste and dust and tons of steel? and at whose expense or is this where the ‘Community’ learn just how large was their involvement in the wind turbine as no doubt the original profiteers will be long gone! May I also point out that it is my suspicion that once the requisite number of turbines are installed the installers will vote themselves a very lucrative maintenance & management contract with adequate let outs and then sell tyhe primary ownership to new owners with no legal responsibility to in any way contribute to the ‘Community’ they would seem to have so competently sold their scam to! I for one see little or no merit in Wind Turbines either as a genuine and honourable investment nor as a solution to power generation whether green or any other fashionable colour! Let us hope the Supreme Court has had the wisdom to see through the scam as increasingly politicians around the world have! as has been pointed out by one correspondent with the Forest of Dean Council – it would be questionably a sound investment for yet more tax payers’ money! above scheme to be discussed at the full Council Meeting tomorrow. Court and the Court of Appeal have found unanimously in our favour in quashing the Planning Consent. Our legal advisers believe in the face of these clear decisions, the likelihood of the Supreme Court allowing any further Appeal are very slim. Moreover the FODDC itself has now withdrawn its objections and is not supporting the appeal by the developers The Resilience Centre. suggested by Councillor McFarling in the Forester article. why FODDC has now been approached by the Resilience Centre. management fees etc. from the scheme (pages 16 – 17). was submitted only last month. I hope that you will feel able to object to this suggestion accordingly. Minded that it would seem that Resiliencehas been unable to sell the shares in their dubious investment over a two year period perhaps it would be apposite for the Council to consider the wisdom of making up any of the shortfall that Resilience would seem to have, particularly as the Council in the current year has shown a shortfall of its own, by way of an overspend of some £115,000 in the matter of Planning and related legal fees, a high percentage of which is likely to have been as a result of failing to take the advice of their own Officers in the matter of granting planning for a wind turbine for Resilience against the wishes of the clear majority of the Council’s own effected rate payers! Fortunately wiser heads have so far prevailed in two appeal Courts with 4 Judges unanimously voting/adjudging in favour of the effected rate payers! In pure investment terms I must admit I incline to doubt the wisdom of investing in shares in a scheme, particularly other people’s, where the vendors have been unable to sell their shares – just what would the Council do when it wished to sell its shares which would likely to prove even less saleable than the owners have found them to be so far! I do not pretend to legal training but if the shares could not be sold might it not be probable any apparent profit would rapidly turn to a considerable loss and furthermore might there not be a possibility of becoming liable for the very considerable costs of reinstating the damage the Wind Turbine had cased and reinstating the land it had ruined! I incline to the belief that the more time passes the more people will realise that using wind as a source of power is seriously unreliable in Britain and the more this becomes apparent the less the income on the shares will be & the less will be the probability of selling ones shares – the entire concept of a ‘Community Fund’ of any substance in the long run sounds little more than an unsophisticated Ponsi scheme where it will last until the founder sells their stake in the scam and the new owners are not obliged to pay out one cent! Individuals may of course gamble their own money but I would caution it is morally repugnant for a public body to gamble public money on a scheme where clearly the very foundations are suspect even by its style, such as the pretence of the description, a ‘Community Wind Farm or Wind Mill’, whatever the apparent bribes and incentives – or even a collective guilt at having become embroilled in a Ponzi Scheme! So Much for Saving the Planet …. 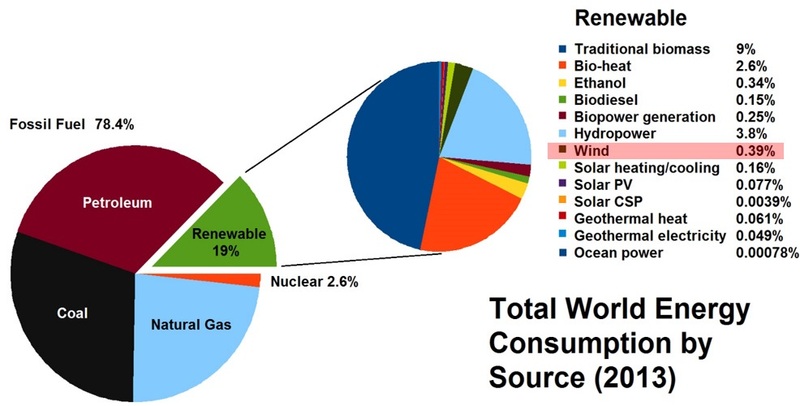 Despite an explosion in installed wind capacity since 1990, wind power had achieved just 0.39% of the world’s total energy consumption as of 2013. Germany has assumed a leading role in promoting the consumption of renewable energy. And yet even in Germany the share of energy consumption from wind power reached only 2.1% in 2016. Despite its extremely limited infiltration as a world energy source, it is assumed that a rapid expansion of wind power will ultimately be environmentally advantageous both due to its reputation as a “clean” energy and because of the potential to contribute to reduced CO2 emissions. Recently, however, the austere environmental impacts and health risks associated with expanding wind energy have received more attention. For example, scientists have asserted that wind turbines are now the leading cause of multiple mortality events in bats, with 3 to 5 million bats killed by wind turbines every year. Migratory bats in North America may face the risk of extinction in the next few decades due to wind turbine-related fatalities. 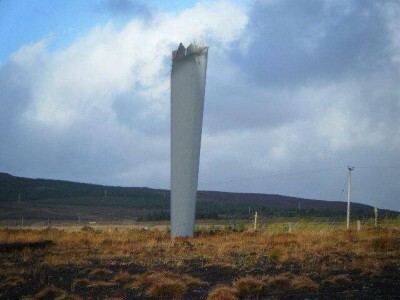 Besides reducing wildlife populations, perhaps one of the most underrated negative side effects of building wind turbines is that they don’t last very long (less than 20 years) before they need to be replaced. And their blades aren’t recyclable. Consequently, 43 million tonnes (47 million tons) of blade waste will be added to the world’s landfills within the next few decades. In a new paper entitled “Unsustainable Wind Turbine Blade Disposal Practices in the United States”, Ramirez-Tejeda et al. 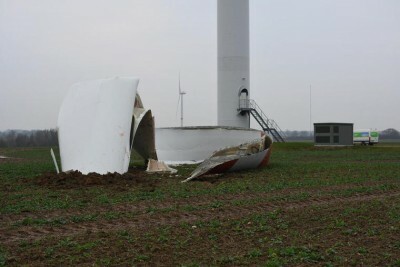 (2017) further detail the imminent and unresolved nightmare of wind turbine blade disposal. The environmental consequences and health risks are so adverse that the authors warn that if the public learns of this rapidly burgeoning problem, they may be less inclined to favor wind power expansion. 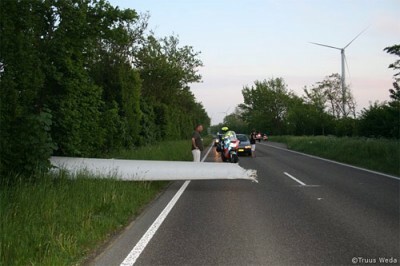 Advocates of wind power are said to be “largely ignoring the issue”. It’s an “issue” that will not be going away any time soon. In light of its minuscule share of worldwide consumption (despite explosive expansion in recent decades), perhaps it is time to at least reconsider both the benefits and the costs of wind energy expansion. NoTricksZone flatters these things when it puts the lifespan of wind turbine blades at 20 years. The whole unit has an economic life of little more than a decade (see our post here). 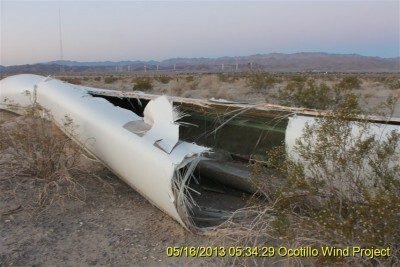 And it’s not uncommon for turbine blades to fail within months of coming into operation. At AGL’s Hallett 1 (Brown Hill) wind farm, south of Jamestown, South Australia the blades on each and every one of its 45 Suzlon S88s failed within their first year of operation, requiring their wholesale replacement. The 2.1 MW, Indian built turbines commenced operation in April 2008. Not long into their operation, stress fractures began appearing in the 44m long blades. Suzlon (aka Senvion aka RePower) claimed that there was a “design fault” and was forced by AGL to replace the blades on all 45 turbines, under warranty. Sigel Township, Michigan, February 2016. Fenner, New York, February 2016. Leystad, A6 Highway, Netherlands, May 2009. Whitelee (near Glasgow), Scotland, March 2010. And, it must be comforting to know that the liberated components depicted above (along with 3,800 odd blade fails every year) were quietly dumped in landfills to deliver their toxic cocktail into aquifers and water supplies for centuries to come. Welcome to your wind powered future! interestingly to date there has been absolutely no comprehensive Risk Assessment published in the UK regarding the impact in the soil, on the ground and in the air and such assessments that have been done would seem to all have been completed by interested parties likely to commercially or politically gain from the instalation of these undeniable ecological disasters. With an increasing number of industrial-scale wind turbines around the world, numerous reports are surfacing to suggest that noise, infrasound and stray voltage (dirty energy) may be harmful to livestock and wildlife. While evidence is largely anecdotal, incidences of mass die-offs of farm animals, chickens laying soft-shelled eggs, high animal miscarriage rates and disappearance of wildlife near turbines provide pause for reflection. These and other incidents suggest a need for scientific study to determine safety before additional wind energy facilities are erected across the U.S., including several proposed in San Diego’s East County. Although wind turbines have been growing in popularity as an energy alternative in the 21 st century, there has been little to no testing done on the effects that these towering turbines could have on animals or for that matter, humans in the vicinity. We require testing of chemicals to assure safety before they may be used in the environment. Why is similarly rigorous testing not required to date for wind turbines? This is concerning particularly in East County, which has among the highest number of horses per capita in the U.S. along with other livestock. In addition the region is home to endangered Peninsular Big Horn sheep, rare birds such as the tri-color blackbird, eagles and hawks, mountain lions and other wildlife. Even pets such as dogs and cats potentially could be impacted. 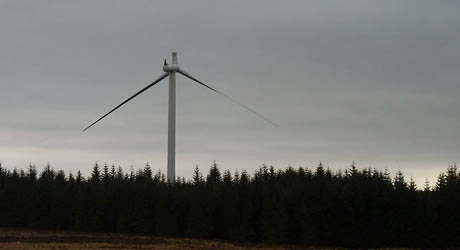 Those impacts include both audible noise and low-frequency infrasound which turbines generate. 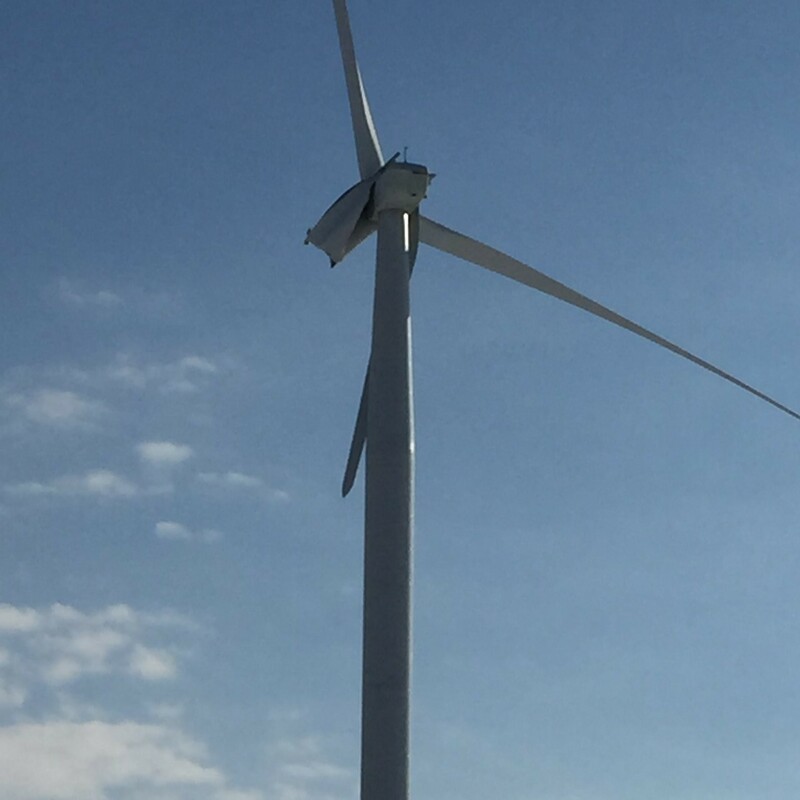 “It is important to take precautionary measures to ensure that noise impacts at wind facility are thoroughly investigated prior to development,” the USFWS determined. 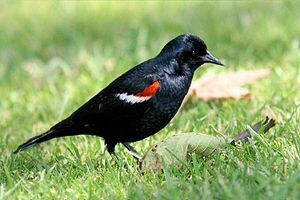 Declines in some bird species have occurred at noise thresholds as low as 35 decibals (dba), the USFWS notes. Noise levels of 35 to 43 dba have been measured up to a mile from turbines. Closer in, within 300 feet, sound levels of 50 dba have been recorded. Noise can interfere with communications among birds, having an impact “ultimately on avian health and survival,” according to the USFWS report. In an article titled Are Wind Turbines Killing Innocent Goats? 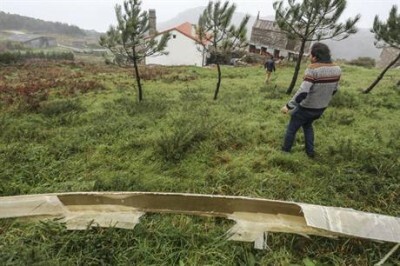 Discovery Magazine reported that a Taiwanese farmer blames the death of 400 goats on a nearby wind facility. His claim is backed up by a local livestock inspector who said unusual sounds can impact animals’ appetite, growth and sleep. The farmer has stated that the goats had been unable to sleep and began losing weight prior to their deaths. In Wisconsin, a farmer who tells his story on YouTube describes losing 19 cattle that died or had to be put down because they were “pretty much lifeless.” In addition, 30 calves have died. The farm is within a mile of a wind facility. One cow removed from the site and moved elsewhere later recovered, the farmer stated. An Ontario, Canada goat farmer reported that all 20 of his nanny goats miscarried or had kids that died within hours of birth. 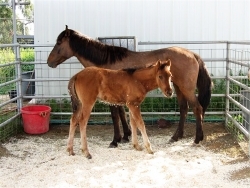 Dr. Nina Pierpont, author of Wind Turbine Syndrome, interviewed a horse breeder who lost six of eight babies after wind turbines were erected nearby his breeding mares. Some aborted early, others had no milk and others didn’t conceive. If turbines are, in fact, causing miscarriages and other reproductive problems in large animals, what could this mean for the health of pregnant women and women of child-bearing age living in close proximity to the turbines? The public has no answers, because governments have not required any scientific testing to prove that turbines are safe for humans or animals, despite the proliferation of massive wind projects approved or in the pipeline. Chickens near wind farms have been known to lay shell-less or soft-shelled eggs resulting in deaths of chickens. Dr. Nina Pierpont at Johns Hopkin University School of Medicine has concluded that Wind Turbine Syndrome occurs in people as well as in animals. “During my research interviews I collected anecdotal information on animal problems. I heard about moles, deer, dogs, horses, ponies, alpacas, goats, seals, sea eagles (Norway), killdeer, and frogs—all of whom disappeared, behaved abnormally, and/or had observed reproductive failure,” she has written. It is widely known that bird kills are common when birds collide with whirling turbine blades. Most notoriously, the Altamont wind farm in California has killed thousands of golden eagles, as well as many other birds. The impacts for bats, however, are even worse. Mass bat die-offs can occur even when bats don’t strike blades, because their lungs explode from the air pressure changes, an article in Current Biology reported in 2008. 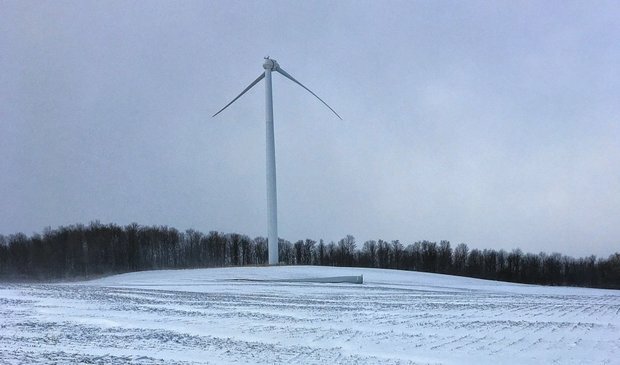 In some portions of Wisconsin, Canada and other areas, residents have reported disappearance of wildlife ranging from hummingbirds to crickets to nesting swallows after wind turbines came into the area. Some pet owners have also reported unusual behavior in dogs, such as a reluctance to go outside when turbines are spinning. In Germany, a dozen dead porpoises washed ashore near the site of a newly completed wind farm and authorities did not rule out the wind facility as potential causes. Some have suggested that the beaching of 130 dolphins at Cape Cod may be related to wind turbine facilities nearby. At high levels, sound from military sonar has been shown to be fatal to marine mammals, the National Resources Defense Council has reported. What are the lowest sound thresholds that are safe for whales, porpoises and other marine mammals? More study appears necessary. Animals can also be impacted negatively by stray voltage, also known as dirty electricity. Cows living near power lines, for example, have experienced reduced milk production and even been observed “dancing” in fields due to electricity in the ground, according to scientific research presented by experts at the International Conference on Production Diseases in Farm Animals at Michigan State University. 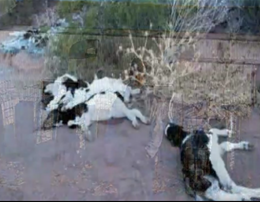 Magda Havas, PhD, has published a provocative article titled “What do Dancing Cows and Zapped Dogs Have in Common?” Havas reports on stray voltage, or ground current, in Toronto, Canada that killed a dog and zapped a child. Cattle have been videotaped “dancing” or lifting hooves repetitively from being shocked by electrical voltage in the ground, Havas reveals. High ground currents from stray voltage have been measured near multiple wind facilities, including Palm Springs and Campo, California. The latter has had ground currents measured at 1,000 times normal in the Manzanita Indians’ tribal hall and church near a wind facility on a neighboring reservation, according to measurements taken by Dr. Samuel Milham, author of Dirty Energy. 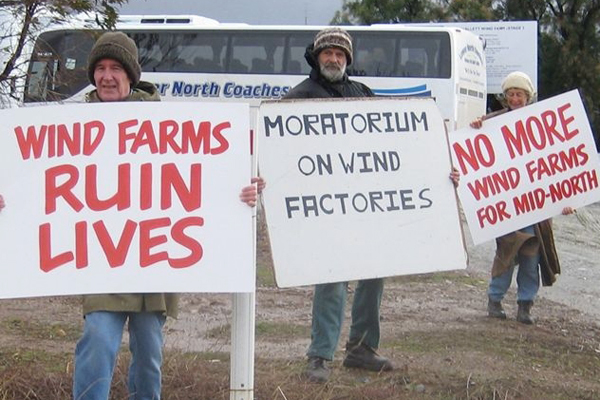 One sheep farmer in Waterloo, Australia had a three-fold spike in birth defects since the turbines started operating. This year, lambs have been born with no ears, three legs and hoofs turned backwards, the Australian newspaper reported. 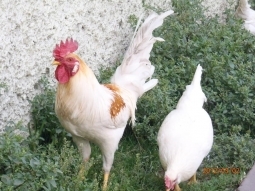 While it’s difficult to know the cause for a handful of birth defects, the fact that they occurred in the same area where chickens have begun laying yolkless eggs and many humans have complained of health problems increases concerns. A growing number of geographic areas now report animal symptoms overlapping human health complaints after wind turbines are built. Is it all just coincidence? Mounting anecdotal evidence suggests a need for caution before building wind turbines in areas near wildlife, livestock, and people. 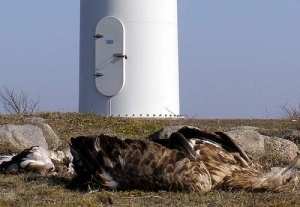 While it’s too soon to conclude that turbines have caused the various health problems and fatalities in animals near industrial wind facilities, it is also dangerous to assume that wind turbines are safe for animals or humans living in close proximity. To read about additional incidents of unusual animal behavior and health impacts observed near wind turbines, visit http://www.windturbinesyndrome.com/category/what-effects-do-wind-turbines-have-on-domestic-animals-wildlife/?var=aa.